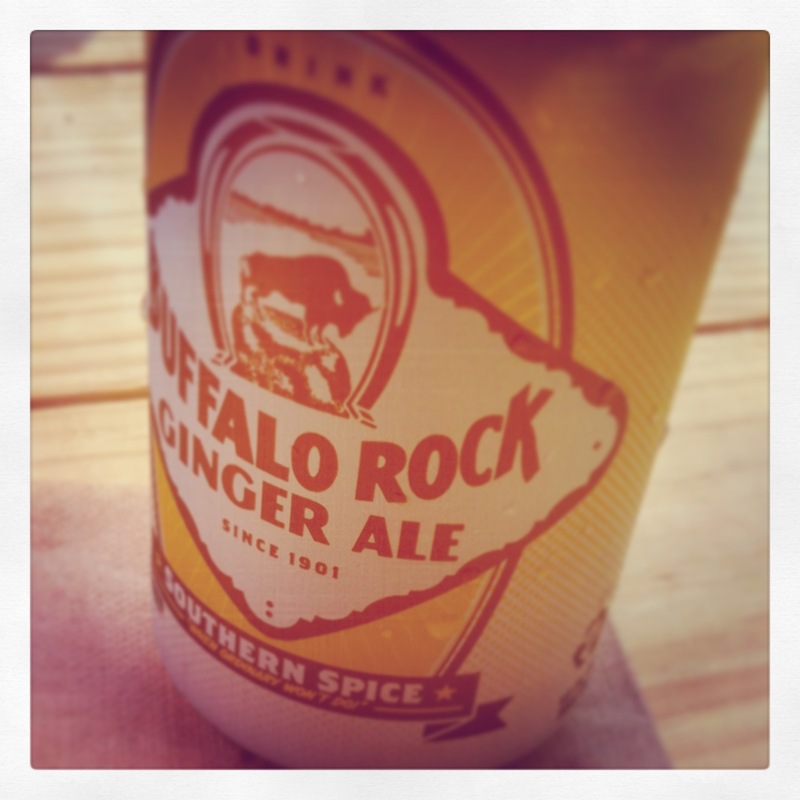 As a friend of mine would say, Buffalo Rock Ginger Ale is real spicy-like. It’ll also produce a flaming hot soda burp. I mean, probably. Because I wouldn’t really know. I have a not-very-secret obsession with ginger. Ginger ale. Ginger beer. Ginger-based cocktails. Ginger cookies. Candied ginger (I like the uncrystallized version from Trader Joe’s because I can eat it at my desk without dropping sugar everywhere). I like spicy things. I like sweet things. All of my favorite ginger concoctions satisfy both of those likes. The addition of Earth Fare to Huntsville’s shopping choices made it pretty easy to fill my ginger beer craving. A four-pack of Reed’s Extra Ginger Brew seemed to be the spiciest ginger soda I was going to find around here, and I thought it was the perfect brand for the occasional ginger-based cocktail. I was wrong, however. It seems I didn’t need to look to all the way to a California company to satisfy this fix. Some of the hottest, spiciest ginger ale I can get my hands on is bottled a mere 100 miles away in Birmingham, Alabama. I discovered this peppery ambrosia at the I Dream of Weenie hot dog van in Nashville, which is another post for another day, I promise. I’m pretty sure I’ve seen Buffalo Rock Ginger Ale at my neighborhood Publix, meaning beverages are about to get a lot spicier at Chez Haggerty. Maybe a couple of pimento cheese hot dogs (totally a thing at I Dream of Weenie) are in order, too.